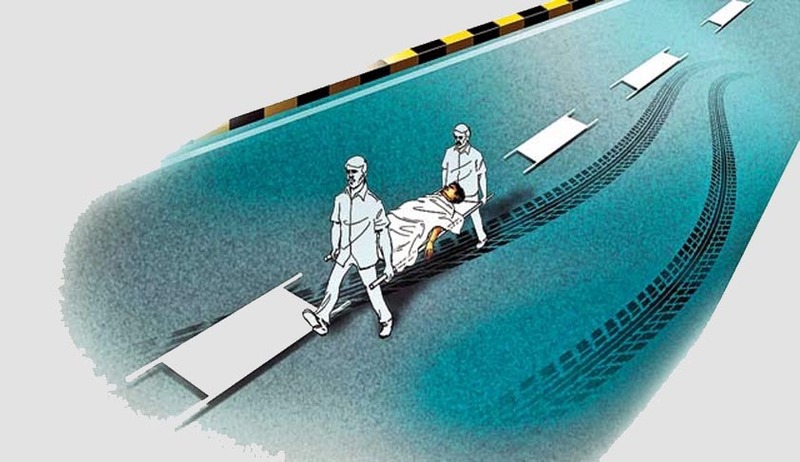 Supreme Court of India in Savelife Foundation & Anr Vs. Union of India & Anr has approved the Centre’s guidelines to protect Good Samaritans, who help road accident victims, from being hassled or harassed at hospitals, police stations or courts. The Ministry of Road Transport and Highways has issued a notification containing guidelines on 12.5.2015 published in the Gazette of India para 1 of Section 1 of the Notification dated 12.5.2015 for protection of good Samaritans and a further Notification has been issued on 21.1.2016 in accordance with para 1(7) and 1(8) of the guidelines dated 12.5.2015 which required standard operating procedures to be framed and issued for examination of good Samaritans by the police or during trial. It has been mentioned in the affidavit filed by Ministry of Road Transport and Highways, Government of India that in the absence of any statutory backing, it is felt that it will be difficult to enforce these guidelines issued on 12.5.2015 and standard operating procedures as notified on 21.1.2016. It has also been mentioned that the notified guidelines in relation to protection of a bystander or good Samaritan are without prejudice to the liability of the driver of a motor vehicle involved in the road accident, as specified under section 134 of the Motor Vehicles Act, 1988. (5) The disclosure of personal information, such as name and contact details of the good Samaritan shall be made voluntary and optional including in the Medico Legal Case (MLC) Form provided by hospitals. (6) The disciplinary or departmental action shall be initiated by the Government concerned against public officials who coerce or intimidate a bystander or good Samaritan for revealing his name or personal details. The above guidelines in relation to protection of bystander or good Samaritan are without prejudice to the liability of the driver of a motor vehicle in the road accident, as specified under section 134 of the Motor Vehicles Act, 1988 (59 of 1988). 1. 1. The Good Samaritan shall be treated respectfully and without any discrimination on the grounds of gender, religion, nationality, caste or any other grounds. 7. In case a Good Samaritan so chooses to be a witness, he shall be examined with utmost care and respect and without any discrimination on the grounds of gender, religion, nationality, caste or any other grounds. ii. In case a Good Samaritan chooses to be a witness, his examination by the investigating officer shall, as far as possible, be conducted at a time and place of his convenience such as his place of residence or business, and the investigation officer shall be dressed in plain clothes, unless the Good Samaritan chooses to visit the police station. In case a Good Samaritan so chooses to visit the Police Station, he shall be examined in a single examination in a reasonable and time-bound manner, without causing any undue delay. In case the Good Samaritan speaks a language other than the language of the Investigating Officer or the local language of the respective jurisdiction, the Investigating Officer shall arrange for an interpreter. Where a Good Samaritan declares himself to be an eye-witness, he shall be allowed to give his evidence on affidavit, in accordance with section 296 of the Code of Criminal Procedure, 1973 (2 of 1974) which refers to Evidence in Formal Character on Affidavit. vii. The complete statement or affidavit of such Good Samaritan shall be recorded by the Police official while conducting the investigation in a single examination. viii. In case the attendance of the Good Samaritan cannot be procured without delay, expense or inconvenience which, under the circumstances of the case, would be unreasonable, or his examination is unable to take place at a time and place of his convenience, the Court of Magistrate may appoint a commission for the examination of the Good Samaritan in accordance with section 284 of the Code of Criminal Procedure, 1973 (2 of 1974) on an application by the concerned. The Bench has clarified that Guidelines and directions can be issued by the Court including a command for compliance of guidelines and standard operating procedure issued by Government of India, Ministry of Road Transport and Highways, till such time as the legislature steps in to substitute them by proper legislation. The Court can issue such directions under Article 32 read with Article 142 to implement and enforce the guidelines which are necessary for protection of rights under Article 21 read with Article 14. of the Constitution of India so as to provide immediate help to the victims of the accident and at the same time to provide protection to Good Samaritans. The guidelines will have the force of law under Article 141. By virtue of Article 144, it is the duty of all authorities – judicial and civil – in the territory of India to act in aid of this Court by implementing them. “We have carefully gone through the notification dated 12.5.2015. However, as per the guidelines contained in para 13, the ‘acknowledgement’ if so desired by Good Samaritans, has to be issued as may be prescribed in a standard format by the State Government. In our opinion, till such time the format is prescribed, there should be no vacuum hence we direct that acknowledgement be issued on official letter-pad etc. and in the interregnum period, if so desired by Good Samaritan, mentioning the name of Samaritan, address, time, date, place of occurrence and confirming that the injured person was brought by the said Samaritan. It is also directed that the scheme framed by the Central Government and the Supreme Court order be widely published through electronic media and print media for the benefit of public so that public is made aware and that serves as impetus to good Samaritans to extend timely help and protection conferred upon them without incurring the risk of harassment.